Oooh, how we love New Year’s Eve! The night holds such promise and it always feels like there’s magic in the air. Our favorite thing about NYE is ringing it in with good friends, delicious snacks and a little bit of bubbly. So what’s the only thing that could top an already fantastic party on the 31 st ? A New Year’s Eve wedding! 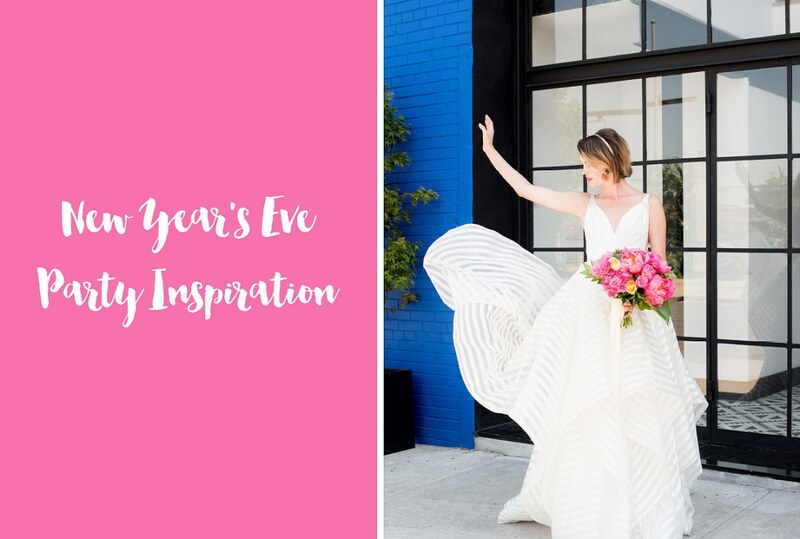 Cue Mikkel Paige of Mikkel Paige Photography and Leah Weinberg of Color Pop Events with the perfect NYE wedding inspiration. 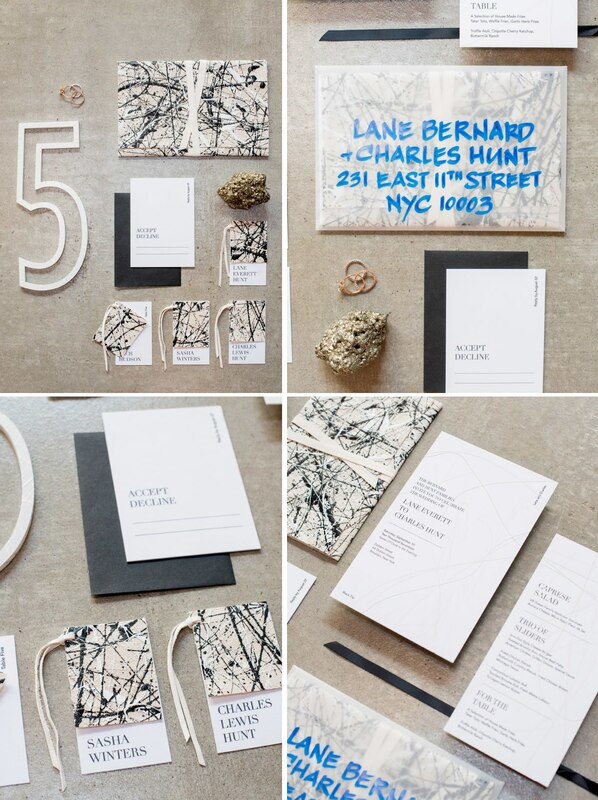 Shot at the new trendy Williamsburg, Brooklyn venue, Dobbins St., this Jackson Pollock-inspired shoot is just incredible. The team pulled in the venue’s black, white and Yves Klein blue color palette to drive the design for the Bliss & Bone paper goods, Hawkins New York dinner plates and Nine Cakes wedding cake – all of which were the perfect blend of elegance and coolness. We really love how the table scape came together, contrasting our royal and silver sequin linen, the Blue Koi, with modern black & white accents and pretty pink bouquets from Blade Floral and Event Designs. 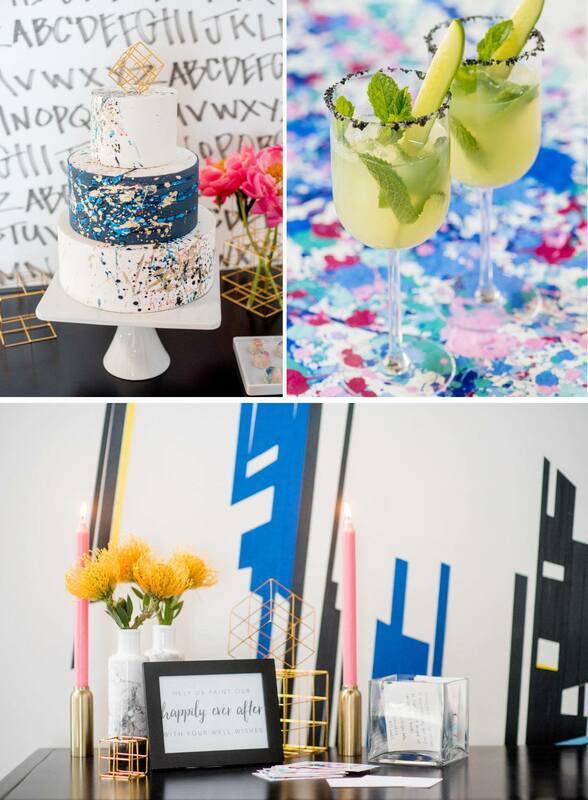 Modern wedding design at it’s finest! And of course the bride, in her gorgeous Hayley Paige gown, was stunning! The soft layers and edgy design make for the perfect gown for a modern bride. So, what do you get when you combine a brilliant design plus the Manhattan skyline in the company of your most beloved? Sounds like a perfect night to us! Nestled right in the Berkshires, just a stroll away from the heart of Lenox, Massachusetts , is the lovely Kemble Inn. A modern haven housed in an 1881 historic mansion, this little inn is the perfect place for an intimate wedding. And with a setting like this, who else but Emily Starr Alfano from mStarr Design to make it a magical night! This lovely wedding took our breaths away when we saw it. Starting with the bride…talk about a lady in red! 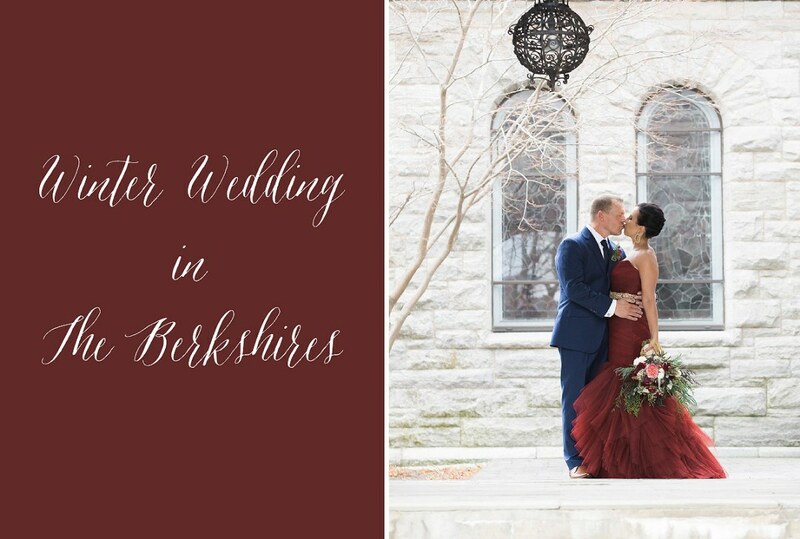 This gorgeous bride rocked a burgundy Modern Trousseau gown that really just stole the show. Paired with her handsome groom, in his navy blue suit, this couple wowed together. Stepping into the Kemble Inn, the mood was set just right by the stylings of mStarr Design. With a palette of black, taupe and deep red, the look was equal parts romantic as it was provocative. We love how Emily mixed in burlap linens with sequins, making it an elegant yet casual evening really playing off of the Inn’s look with the Berkshires vibe. Our very favorite thing however was the fur and feather details. Pairing metal café chairs with taupe throws really brought everything together. The lush florals, with blooms ranging in color from blush pink to deep wine red, were placed amongst an assortment of sage and evergreen foliage. We love how Carolyn Valenti Flowers tied in the bride’s dress colors in the arrangements throughout the ceremony and reception, from atop of the mantle, to the marble torso on the grand piano and the detailed antique standing vases. 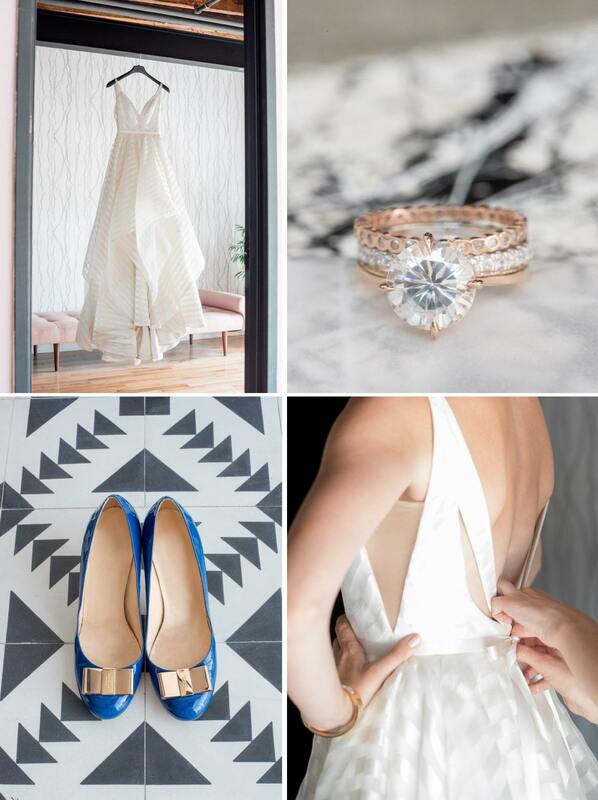 Captured in all of it’s beauty by Lovebird Studio, this wedding really got to us. Looking through the pictures we felt like the couple’s aesthetic and personality really shined throughout the event. 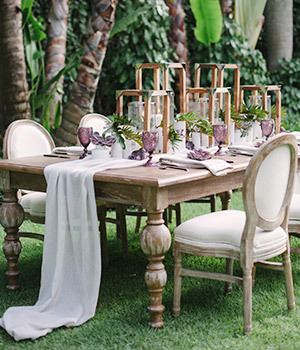 An intimate wedding, a quirky inn and a cozy refined design, this is one of our winter faves! 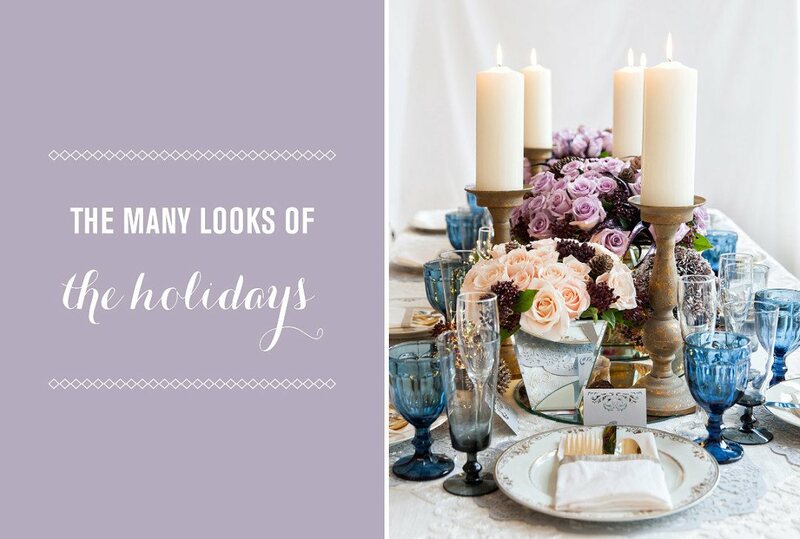 Holiday parties are officially here! We can hardly believe it but it’s true. With so many events to attend and so many friends to celebrate with, be wary of design fatigue. No need to worry however because we’re here to help! We’ve put together our Holiday Style Guide with some of our favorite looks that can help inspire you this season. 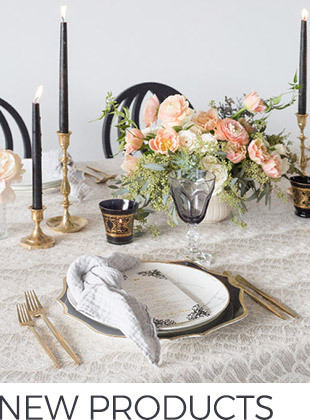 Whether you opt for mixed metals, go all-in on bright color or prefer a cozy neutral, there’s something for every occasion…because friends don’t let friends throw basic parties. Now let’s celebrate!